Here are details of the shops and other businesses which are in the Flamenca Beach Commercial Centre. To get here is easy – it is next door to La Mosca commercial centre, so along from the Alameda del Mar roundabout, just off the N332. It is also along the road from the Centro Civico Alameda del Mar, Orihuela Costa in Calle Santa Alodia. Many bars have entertainment in the evening ranging from karaoke to opera to disco to Irish to hard rock. It's all here. 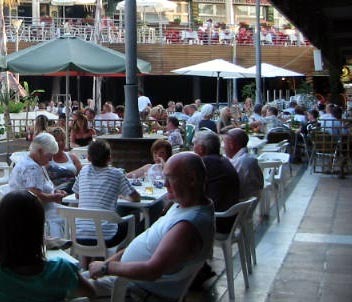 In the summer there are many other attractions in the Flamenca Beach Commercial Centre for all the family. For example:- bouncy castle, punch bag, instant caricatures, fortune telling, etc. I have tried to list everything for completeness, but some may not be of any interest to you while you are on holiday. 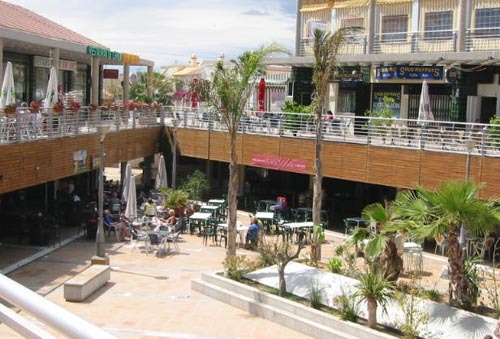 There are so many places to eat and drink in the Flamenca Beach commercial centre that I have not been able to try them all. Bits and Bobs - good hardware store and key cutting. Also barbers. Servus German bar and steak house, also pasta and pizza. Breeze - lounge bar. Look for the C in the logo - C - Sea Breeze. Café Rio - good basic food *for sale? Penny's mini mart and English butcher. 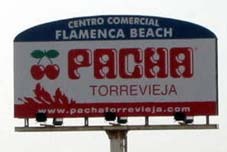 New partnership, the butcher moved from Playa Flamenca promenade. Open 7 days, summer 9am to 10pm. That Amusement Place – upstairs internet 1€ for 20 mins - opening hours - open? Pirate bar - for rent. Live rock in the evenings *now open again? Kopi German bar and restaurant. Déjà Vu - modern Irish bar. Live music. Slow Boat Chinese restaurant for rent ? *gone Chaplin Swedish pizza place?